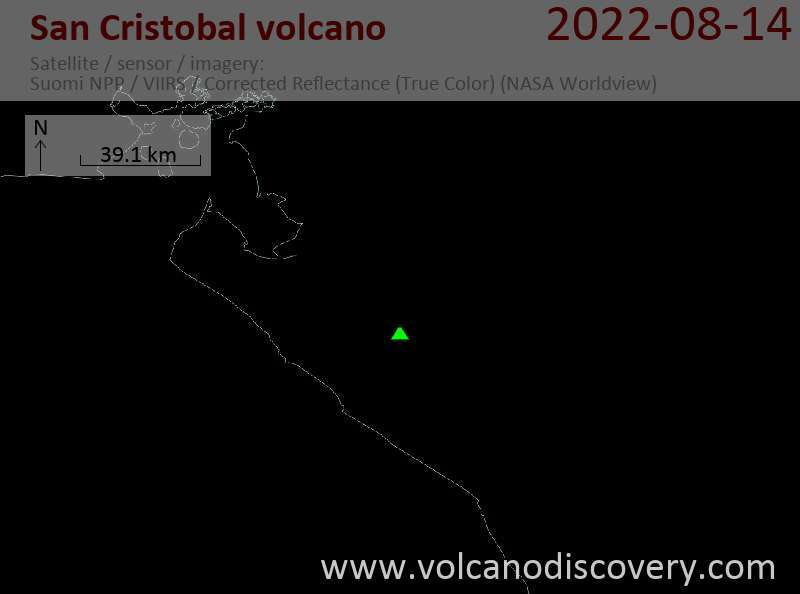 New eruptions occurred yesterday. The volcano produced a series of 7 small ash emissions between 06:45 to 11:43 am (local time). The explosions were very small and ash plumes only rose up to about 100 m above the crater. The new eruptions were followed by a rise in seismic activity in the form of tremor, which rose to about 3 times normal levels during the afternoon. The tremor pulse was still of relatively low energy and in itself not alarming, as the volcano experiences similar phases of elevated seismicity frequently, but given the recent activity, INETER warns that new explosions, possibly larger in scale, could follow with little warning and that air traffic should avoid the area of the volcano. Unconnected to the new eruptive activity, a small mud flow occurred at 17:10 local time on the lower slopes as a result of heavy rainfall, but did not cause damage. SINAPRED (Civil Protection) said to be ready to organize the evacuation of some 3,000 people living within a radius of 5 km if necessary, i.e. in case of stronger eruptions.